You'll be the new member of the "Primate Observation Club," which of course is not the wildlife conservation society that the name suggests. It's a cover for a clandestine group that watches over people through surveillance cameras and unprotected webcams. Tired of living in a shabby apartment and having boring jobs, you have been accepted as part of this exclusive organization, so you'll be able to spy on the "caged monkeys." 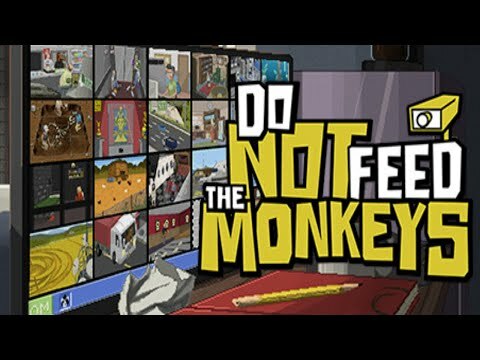 The game, which has strong "pixel art" visual style, allows you to browse social networks, wikis, websites, newspapers, online stores and chat rooms, where you can collect information about the "monkeys" you're spying on. The Club forbids you from interacting with those you observe (i.e., "feed the monkeys") ... but what will you do? Are you going to intercede in the name of justice? Will you sabotage their dreams? Or will you sit around doing nothing while you watch the world burn? Everything you do (or stop doing) will have consequences. What to Expect While Playing?! BROWSE social networks profiles, wikis, websites, newspapers, online stores... Use chat logs, email tools and more! Fictiorama Studios is an indie game studio founded by three brothers (Mario, Alberto, and Luis Oliván) who are united by their devotion to narrative-driven games. In addition, two of the Oliván brothers are members of the alternative rock band Kovalski - which composed the soundtrack for Dead Synchronicity: Tomorrow Comes Today. To learn more about Fictiorama Studios, please visit http://www.fictiorama.com/en/inicio/ .